K. I'm not sure what deal is, but I've actually been FINDING '40s dresses, in actual thrift shops I frequent, that I can actually buy. It's surreal. There are times and seasons in this vintage world where what I'm looking for becomes extremely hard to find. Out of reach. Elusive. I seriously have to contend with my heart whether or not I can handle never finding another 40s dress, and if I'm okay with it. Of course I am. I have to be. But, it makes the joy of finding these treasures even better when they reappear. Just for me. 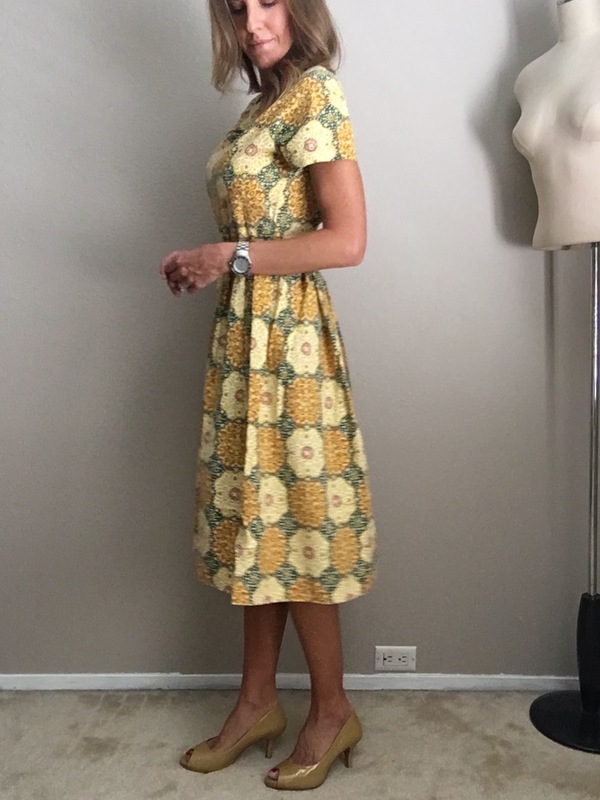 Last week, I found this amazing 40s house dress. Happened to pick up some new used (modern) Camuto leather pumps beforehand without knowing how well it would match this '40s beauty I found thirty minutes later. Love it when that happens. But then ... it gets better. I found another '40s dress just today, at a completely different thrift store across town from the other one (although I SWEAR they were owned by the same lady- same measurements, same missing belt). The pumps seriously match this dress even better. Totally as if I planned it. 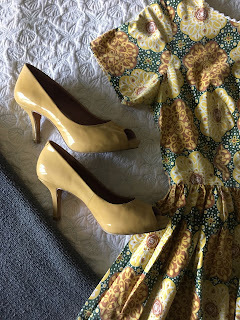 Actually, this dress came to me, I believe it knew it belonged with these shoes! My plans for the next house dress? For it to match these lovely pumps and for the dress is in my size. I'll let you know when it comes to me. 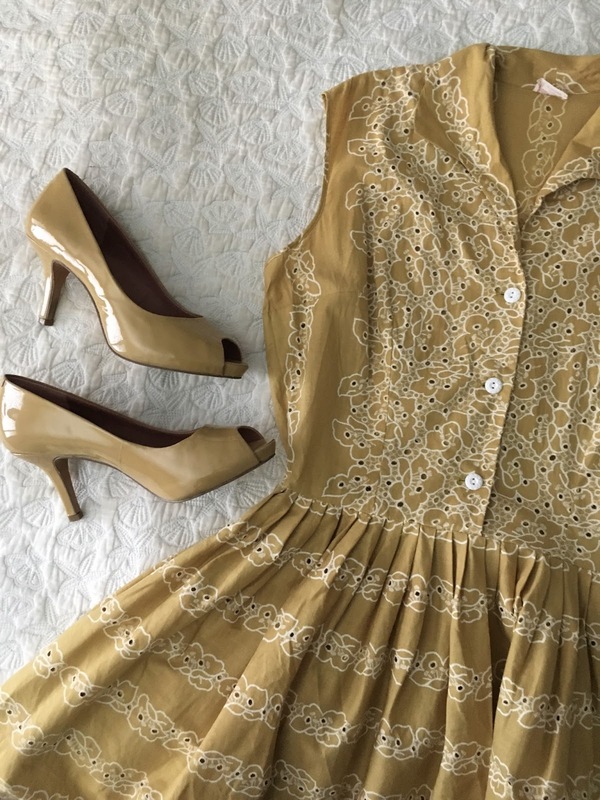 Looking for more '40s dresses? Or '50s or '60s dresses? Go here to shop my store. I mostly stock dresses and denim, so come on in!